Sir Hugo Drax is a fictional character created by author Ian Fleming for the 1955 James Bond novel Moonraker. Fleming named him after his friend, Sir Reginald Drax. For the later film and its novelization, Drax was greatly altered from the novel by screenwriter Christopher Wood. In the film, Drax is portrayed by English/French actor Michael Lonsdale. In both the novel and film, Drax is the main antagonist. In the novel Sir Hugo Drax is an English World War II hero, believed to have been working in Liverpool harbour before the war, who became a post-war millionaire. He has red hair, and half of his face is badly scarred from a German attack during the war. The same incident left him with amnesia. He is 6 ft (183 cm) tall. After the war, Drax made a fortune from trading metals in Tangier and was able to start up his company, "Drax Metals Ltd", which specialises and has a monopoly in the production of a metal called columbite. Drax is also the backer of the 'Moonraker' missile project being built to defend the United Kingdom against its Cold War enemies. The metal columbite gives a missile's engine an extra layer of protection so that it can burn hotter fuels, thus greatly expanding its range of fire. The novel reveals that Drax was born in Germany as Graf Hugo von der Drache. Because his mother was English, Drache was educated in England until the age of 12. Afterwards he moved to Berlin and later Leipzig, where he continued and finished his education. After graduating, he joined the Nazi Party and entered the Wehrmacht as a soldier in the Panzer Brigade 150. At the outset of World War II he took part in the Blitzkrieg campaigns in Belgium and France, before becoming a Skorzeny Werwolf commando. After the Ardennes offensive he stayed behind Allied lines when their forces crossed the Rhine and started operating in the Low Countries with his commando group. During a mission, he dressed as a British soldier so that he could sabotage and destroy a farmhouse holding a mixed liaison group of American and British servicemen, but he ended up at the same farm after being attacked by his own fighter because he was wearing a British uniform. While he was still conscious, he managed to destroy his motorbike and documents. Later he was found and brought to the farm, so he was caught in the explosion and nearly killed. He was then rescued by the British and nursed back to health, claiming to be a "missing soldier" by the name of Hugo Drax. After being discharged from nursing care, he killed a Jewish businessman in London, robbed him of £15,000, and escaped to Tangier. Drax starts the "Moonraker" missile project under the pretence that he would test fire the missile into the North Sea. Instead of doing so, however, he targets his missile on London and arms it with a nuclear warhead he received through support by the Soviets and SMERSH. Drax uses his knowledge of the impending disaster to play the stock market, planning to make a huge profit from his own terrorist act. Bond, with the help of female Special Branch agent Gala Brand, sabotages Drax's missile launch and changes the coordinates of the target back to the North Sea, where after the missile was launched Drax and his men had escaped so that they could watch as London was destroyed. In the event, the Soviet submarine carrying Drax is destroyed by the blast of the nuclear warhead. The novel involved the idea of the "traitor within" throughout the course of the book. Drax, real name Graf Hugo von der Drache, is a "megalomaniac German Nazi who masquerades as an English gentleman", while his assistant, Krebs, bears the same name as Adolf Hitler's last Chief of Staff. In using a German as the novel's main enemy, "Fleming ... exploits another British cultural antipathy of the 1950s. Germans, in the wake of World War II, made another easy and obvious target for bad press." 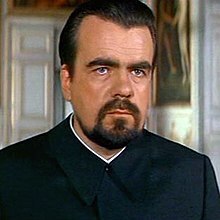 Moonraker uses two dictatorships that Fleming hated - the Nazis and the Soviets - as villains: Drax is German and works for the Soviets, who provide him with not only the atomic bomb, but the support and logistics to use it. Fleming used aspects of his private life to create Drax; Fleming named the character after his acquaintance Admiral Sir Reginald Aylmer Ranfurly Plunkett-Ernle-Erle-Drax. Other elements of the plot came from Fleming's knowledge of wartime operations carried out by T-Force, a secret British Army unit formed to continue the work of 30 Assault Unit, itself created by Fleming. In the film adaptation, Hugo Drax is a billionaire who owns Drax Industries, a private company which constructs space shuttles for NASA. Unlike the Drax of the novel, he is implied to be French (as he was portrayed by French actor Michael Lonsdale), although this is never explicitly mentioned. Though Drax lives in California, he resides in a fully imported French château for which "every stone [was] brought from France" – Drax also supposedly owns the Eiffel Tower, but wasn't allowed to export it from France in a similar manner because the French government wouldn't issue him an export permit for it. Drax portrays himself as an accomplished pianist, as evidenced by his recital of Chopin's "Raindrop" Prelude in D-flat major (op. 28) on his grand piano (which he plays in the key of D); in fact, he poses with a player piano in an attempt to impress his guests. Bond follows a trail around the world to investigate the theft of a space shuttle that Drax had loaned to the UK. He begins his investigation in California at Drax Industries, and follows it to Italy, then to Brazil, then into space. Drax reveals that he seeks to destroy the entire human race except for a small group of carefully selected humans, both male and female, that would leave Earth on six shuttles and have sanctuary on a space station in orbit over Earth. Using chemical weapons created by Drax's scientists—derived from the toxin of a rare South American plant, the Black Orchid—at an installation in Italy, he would wipe out the remainder of humanity. The biological agents were to be dispersed around the earth from a series of 50 strategically placed globes, each containing enough toxin to kill 100 million people. After a period of time, when the chemical agents had become harmless, Drax and his master race would return to Earth to reinhabit the planet. Bond obtains a sample of the chemical agent at the location in Italy. It leads him to a remote part of Brazil, where he finds Drax's shuttle-launch facility in an ancient civilization's shrine. Bond and his companion, CIA agent Dr. Holly Goodhead, commandeer one of Drax's space shuttles and blast off to his orbiting space station. Bond persuades Drax's henchman Jaws to switch allegiances by getting Drax to reveal that Jaws and his girlfriend Dolly will be exterminated as "inferiors". A team of soldiers sent by the U.S. government invade the shuttle, resulting in a laser battle in which Drax's "master race" are all killed. Bond then corners Drax in the station's airlock, shoots him with a cyanide-tipped dart, and ejects him into space. In his novelization of the movie, screenwriter Christopher Wood describes Drax as red-haired and with a face scarred and botched by poor plastic surgery (from a time "before he could afford the best in the world"), much as originally envisioned by Fleming. Although Drax's nationality is not specified, Bond idly wonders to himself which side he fought on during World War II. ^ a b Canby, Vincent (June 29, 1979). "Moonraker (1979)". The New York Times. New York City: New York Times Company. Retrieved August 21, 2018. ^ Black 2005, p. 20. ^ Black 2005, p. 17. ^ Black 2005, p. 22. ^ Longden 2009, p. 312. Black, Jeremy (2005). The Politics of James Bond: From Fleming's Novels to the Big Screen. U of Nebraska Press. ISBN 978-0-8032-6240-9. Longden, Sean (2009). T-Force: The Forgotten Heroes of 1945. London: Constable & Robinson. ISBN 978-1-84529-727-5.